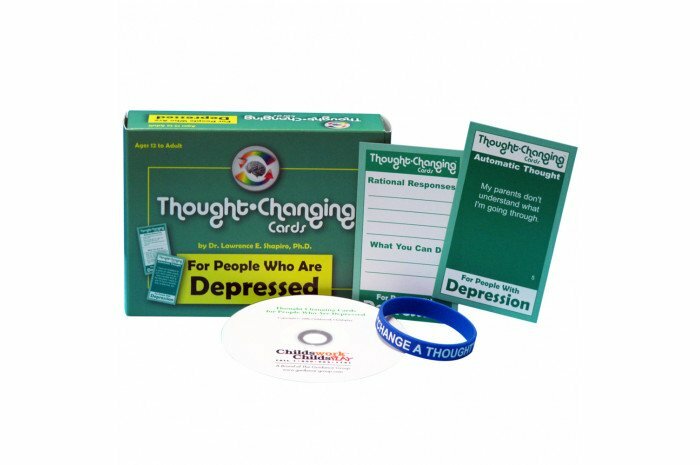 This kit is intended to help clients control their depressive thoughts and behaviors, through proven cognitive behavioral techniques. This kit contains 50 cards that show cognitive distortions on one side, and rational responses and positive behavioral activities on the other. The kit also features a CD with dozens of printable forms to help keep track of change. A Thought Changing Silicone Bracelet is included to help clients remember to "catch" their cognitive distortions, and change them to more realistic and positive thoughts. By Lawrence E. Shapiro, Ph.D. Ages: 12-Adult.